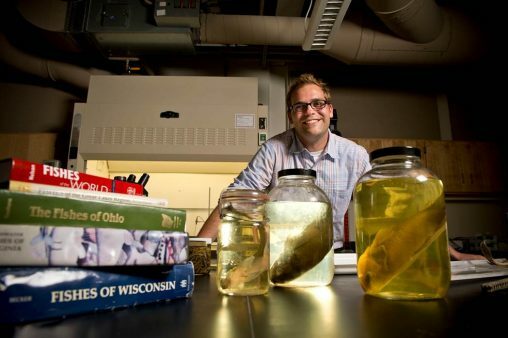 Stephen Jacquemin, associate professor of biology and research coordinator at Wright State’s Lake Campus, led a study documenting changes in water quality following the implementation of new rules and best management practices. Collaborative efforts between agriculture and water quality groups surrounding Grand Lake St. Marys were highlighted by Ohio Gov. John Kasich and other state officials during a news conference on July 11.